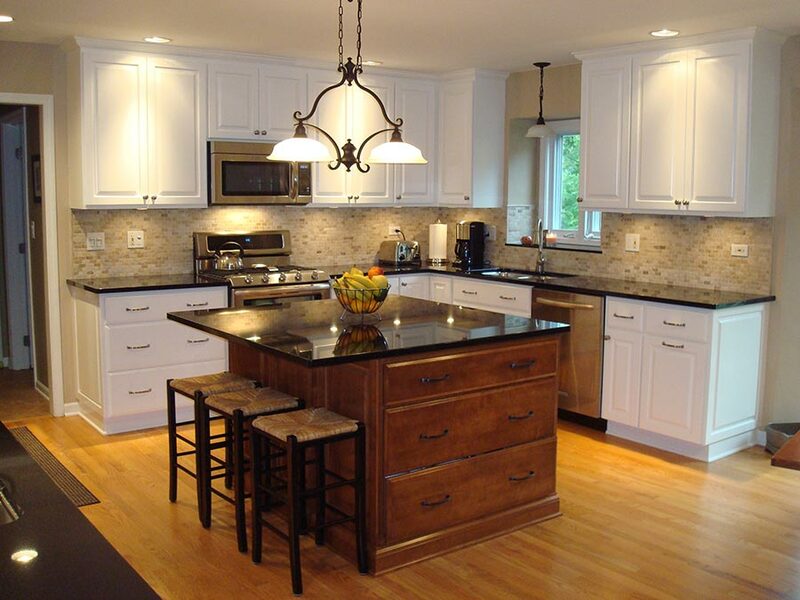 Cabinet refacing is the perfect alternative to a complete kitchen remodel at a fraction of the price. We’ve been refacing cabinets for 36 years. 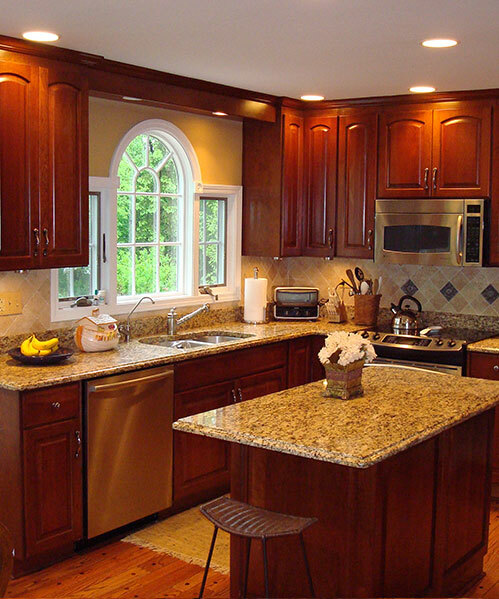 Refacing, when done properly, has one of the highest returns on investment of any home remodeling. Here’s the best part, when refacing your kitchen, you’re not stuck with the exact same layout or cabinet interiors. Our specialty is building new cabinets that perfectly match your existing cabinets and then refacing and tweaking the old ones. Because of our meticulous attention to detail, these “combo” kitchens have become one of the most popular items on our woodworking “menu”. We can build and install new drawers or rollout shelving in the existing base cabinets. We can remove a desk and build a new full height base cabinet with perhaps a glass door cabinet above. We can remove a poorly designed closet and build a large pantry cabinet with rollout shelving or use that space for a beautiful matching hutch cabinet. We can remove your soffits and build and install new 42 inch upper cabinets finished off with a beautiful crown molding at the ceiling. We can finish off your peninsula or island cabinet with fluted moldings, raised panels and furniture base to make it look like a piece of custom furniture. We can do all this and a lot more. When your Taylormade Kitchen is completed, the combination of new and refaced cabinets will not only blend in seamlessly, but even you won’t believe it’s the same kitchen. But please don’t take our word for it, just ask one of our thousands of very happy customers. At Taylormade – PRIDE IS HALF THE REWARD OF A JOB WELL DONE! Please take a few minutes to browse through our photo gallery. These are pictures of our actual jobs, not professional photos taken from other company’s photo albums. © Taylormade of Naperville, IL. All Rights Reserved. Custom Cabinetry and Countertops.